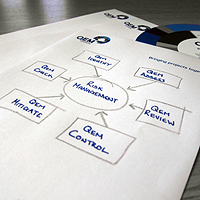 QEM Solutions has a team of Engineers that draw on a number of engineering backgrounds including: Civil engineering, Mechanical, Electrical, Manufacturing, Geotechnical and Environmental engineering disciplines. From Design Management and Project Start-up, through to Quality, Engineering and Site Management, Inspections and Audits, we have a wide range of experience across a number of disciplines and are able to offer a wide range of services that can complement your team and allow you to get the most from your project. Click on any of the project map pins to view a specific project or refine your search using the “Refine Projects By Service” menu at the top of the map.